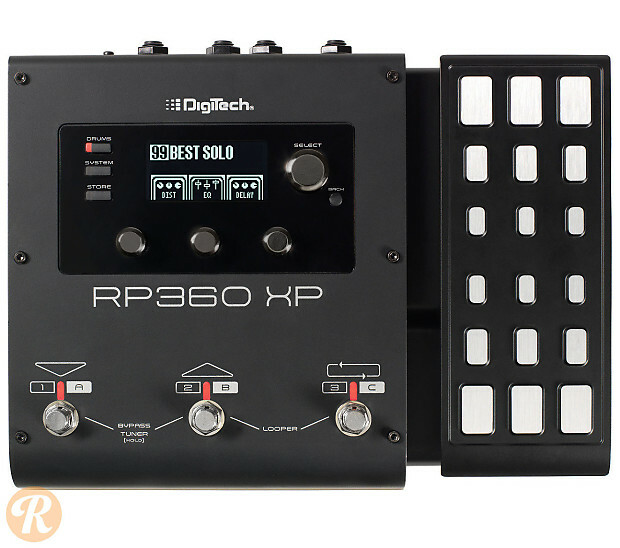 The DigiTech RP360 is designed to be a comprehensive, compact multieffects unit featuring 160 different amp/cabinet/effects combination, 200 presets, 60 drum patterns and a 40 second looper. It features USB out streaming for direct-to-DAW recording. The RP360XP includes an expression pedal.